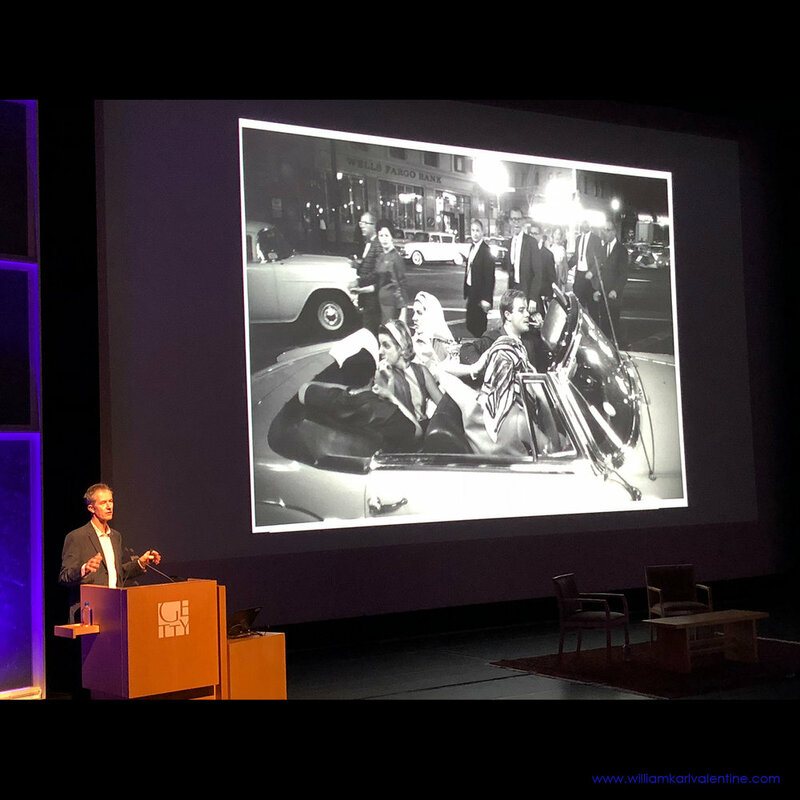 I got lucky on March 21st to see an Instagram post by The Fraenkel Gallery about Geoff Dyer lecturing on his latest book, The Street Philosophy of Garry Winogrand, at The Getty Museum that night. I was aware of the book because I had already seen the announcement from the Center for Creative Photography , but I didn't realize Dyer was lecturing in Los Angeles that night. I didn't have much time but I decided to go and got lucky that freeway traffic was light because it had rained earlier in the day - Los Angeles drivers fear any type of weather. I knew little of Geoff Dyer going in to this lecture. 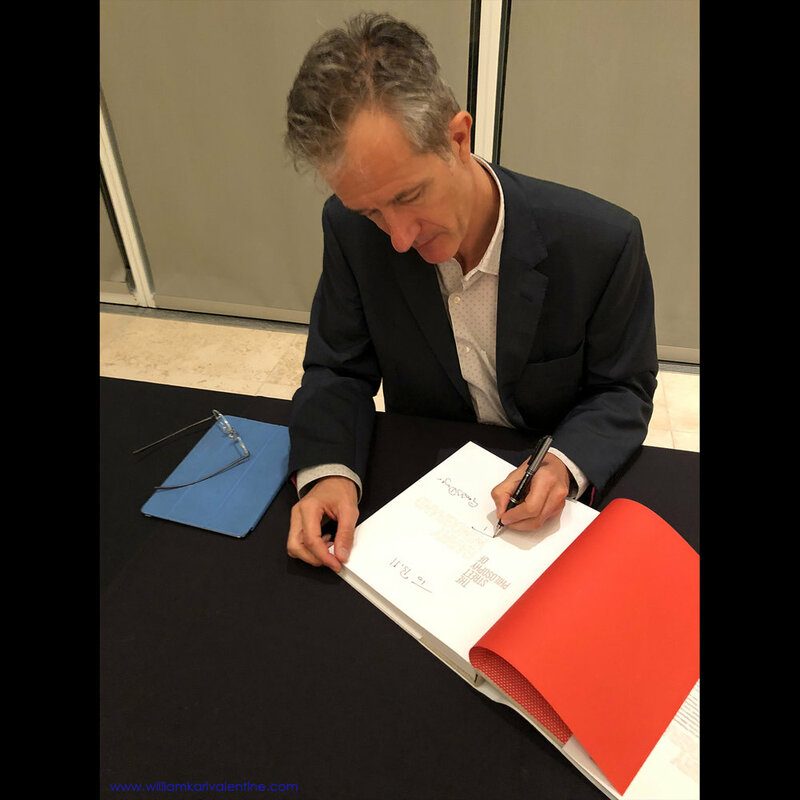 Turns out he is a professor at USC, this is his 17th book, most of his titles are not on Photography, and this was his third lecture at Getty. I found out he has ties to the University of Texas and had written the introduction for their press's book on Magnum. Dyer explained how John Szarkowski's book on Atget inspired the Winogrand project which grew from a suggestion by a friend at Texas for him to access the Center for Creative Photography which holds Winogrand's archives. Dyer went on to say since Szarkowski had already done such a broad retrospective of Winogrand's work that it allowed him to go in to details he explores in this project because he didn't have to worry about chronicling previously documented elements of Winogrand's work and life. 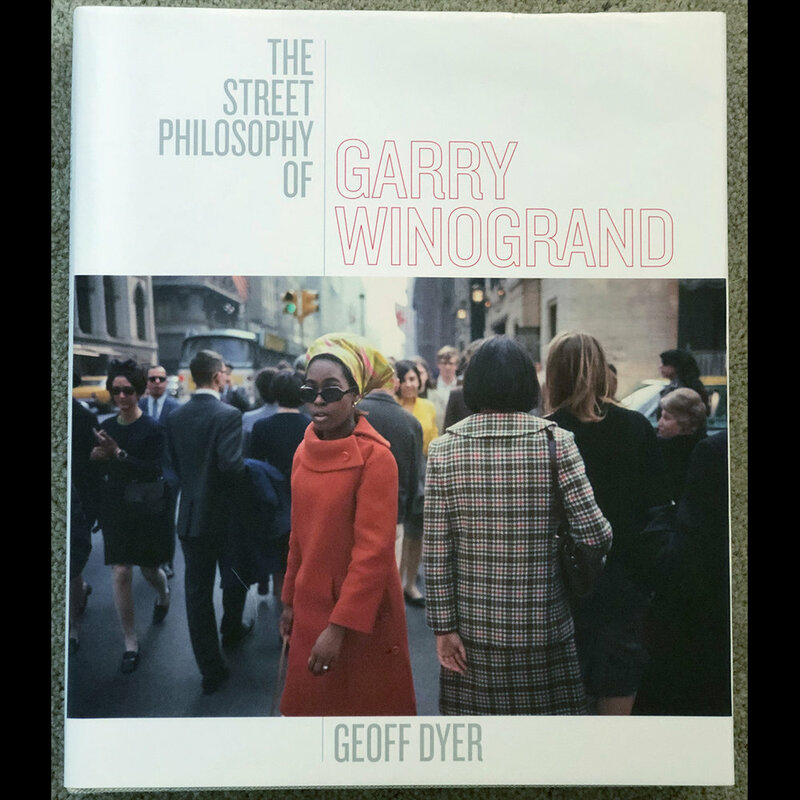 Dyer selected 100 of Winogrand's images from the Center for Creative Photography archives for the book and analyses each photograph with interesting insight. Of the group, 19 images are color photographs. One thing I found interesting looking at these color photographs was the fact many were made with long lenses and shallow depth of field, which of course is a departure from most of his famous images which were made with a wide angle lens on a Leica (Dyer described Winogrand's photographing style when he said "Winogrand's wide angle lens whooshes us in to the scene, the world reeling around us"). Some of Dyer's theory of the individual images may go farther than I care to go, but all his thoughts are concise and relevant to the images. Dyer identified that Winogrand had a fascination with positioning of feet describing "Chorus Line" elements in several images and also noted Winogrand liked to include an image, or symbol, of him (Winogrand) looking in many of his images. Dyer said he was initially interested in photography entirely about what is in an image but over time he realized the massive narrative potential of images and became interested in the history of the photographs. He said "Photography is not just a documentary moment but also an expression of the photographer's psyche", then continued on, stating "Winogrand is very funny. His images full of jokes even though photographs don't have a narrative ability (on their own)". I have long felt all photographs have some element of being a self portrait of the photographer, if nothing else with the selection of the subject matter which interested the photographer in the first place. The 100th image Dyer features (shown above) and his analysis of the image is probably my favorite of the book. Dyer absolutely nails his take on the image and what was going on with Winogrand at the time. It has special meaning for me because I know this area of Santa Monica well, actually was photographing near there earlier this month, and I am most likely the same age now as Winogrand was when he made the exposure (The last is a fact that scares me). When it comes to the major retrospectives of Winogrand work there were omissions. Dyer noted Szarkowski's 1988 MoMA retrospective did not include Winogrand's later work, much of which was unprocessed. He also mentioned that SFMoMA's 2013 retrospective did not include any of Winogrand's color images from England (It is worth noting SFMoMA's exhibition did include 100 images printed from unprocessed film which the public had never seen before). Dyer fills in some of those gaps with this book. This made Dyer's lecture and book that much more interesting to me because I had been able to see both retrospectives in person. Winogrand liked photographing in Venice Beach, California because things (images) were bunched together. (Having photographed in Santa Monica and Venice I completely understand and appreciate this fact). Winogrand stopped making exhibition prints after moving to Los Angeles. Winogrand had his leg broken while photographing on the sidelines of a college football game in Austin Texas. Having photographed sporting events before I can imagine how Winogrand could have been so consumed by the images in his viewfinder that he did not anticipate, or see, the impending contact. In reading the book Dyer describes the injury in greater detail and the fact Winogrand did not fully recover from the injury which hampered his movement and ability to photograph. I never knew this fact. Having suffered a ruptured quad muscle myself three years ago, and dealing with a very long rehabilitation, I discovered a brand new personal connection to Winogrand. I know well what a leg injury can do to a documentary photographer's ability to photograph. Winogrand left behind 300,000 unprocessed images, a fact I knew, but something that recently came up when I was speaking with Los Angeles based photographer, and friend, Frank Schlegel earlier this month. I was over at Samys Camera in Pasadena looking at new camera models and talking to Frank when he said "Can you imagine what Winogrand would have done with digital technology? There would be millions of images to go through still". In reviewing "The Street Philosophy of Garry Winogrand", two Winogrand experts had some perfect descriptions of Dyer's book. Jeffery Fraenkel stated, "Dyer has cracked open a window on Winogrand that's always been there but there but never has been opened" and SFMoMa Curator of Photography Corey Keller noted "An innovated take on an artist whose work I thought I knew well". I appreciate Dyer's perspective and insights which he brings with this book and I as a Winogrand fan I enjoy being able to see some of his images that haven't been shown before. The book is worth the purchase and the lecture was worth the drive.